Why Choose a Custom-Built Home? A custom home is an expression of creativity and originality you can cherish for life. A custom home is also an investment. 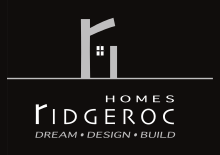 By choosing RidgeRoc Homes to help you customize yours, you can rest assured that you are making a great investment. With the freedom and flexibility customizing your home provides, you can ensure you stay within the budgets you set, and use the materials and designs that provide the best value to you. A custom-built home gives you the exact features you want, so you aren’t paying for features of a prebuilt home you won’t use, and have the power to decide how much you want to spend on the features you do want. Since our founding in 2002, RidgeRoc Homes has been proud to provide high quality custom home-building services to clients in Kelowna and the Okanagan Valley. We want you to have the home of your dreams and our specialized team is focused on making those dreams come true. By demonstrating our superb craftsmanship throughout the design and construction of your custom home, we know you will be more than satisfied with our work. Your new home. Your new life. At Ridgeroc Homes, we recognize that choosing to invest in a custom-built home is one of the most important decisions you will ever make. Your new home will be the gateway to your new life, and this means every detail must be planned, designed, and constructed with the utmost care. We have been providing this standard of service to our clients in Kelowna for over a decade, and we will help you build the home – and lifestyle – you’ve always wanted. Kelowna is a beautiful city, and we want to help you build a home that matches that beauty. To inspire you, here are some examples of work we have done recently for our clients. We look forward to helping you create the home of your dreams. For consultation, advice, and to get started, please call us at 250-215-7858, or send us an email (info@ridgerochomes.com).